What’s the Project? 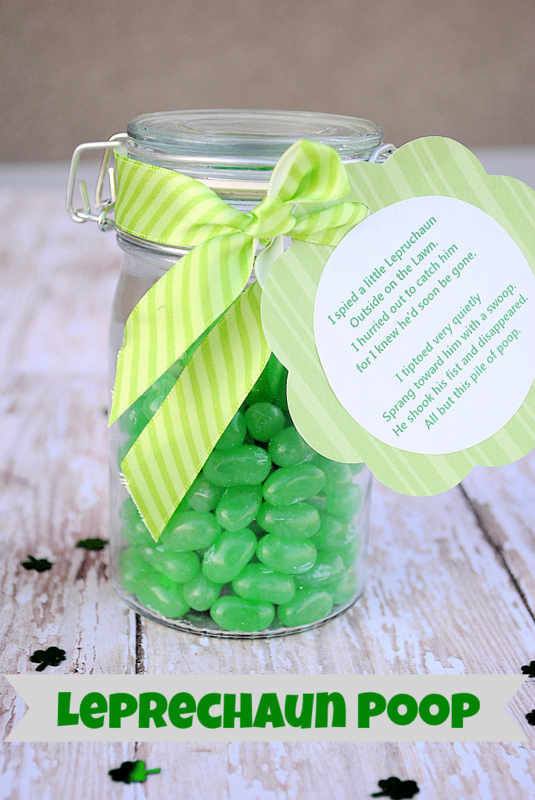 This cute little St. Patrick’s Day gift idea is a fun and silly way to celebrate the day. 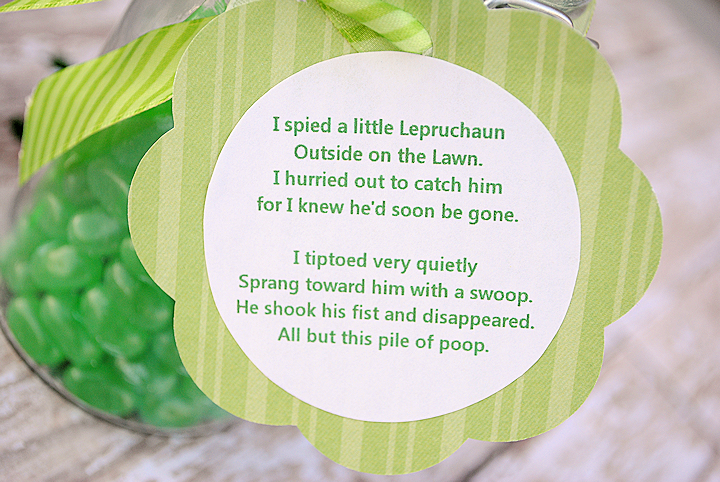 A little jar of “leprechaun poop” and a cute tag to go with it. You’ll make your friends laugh with this one. 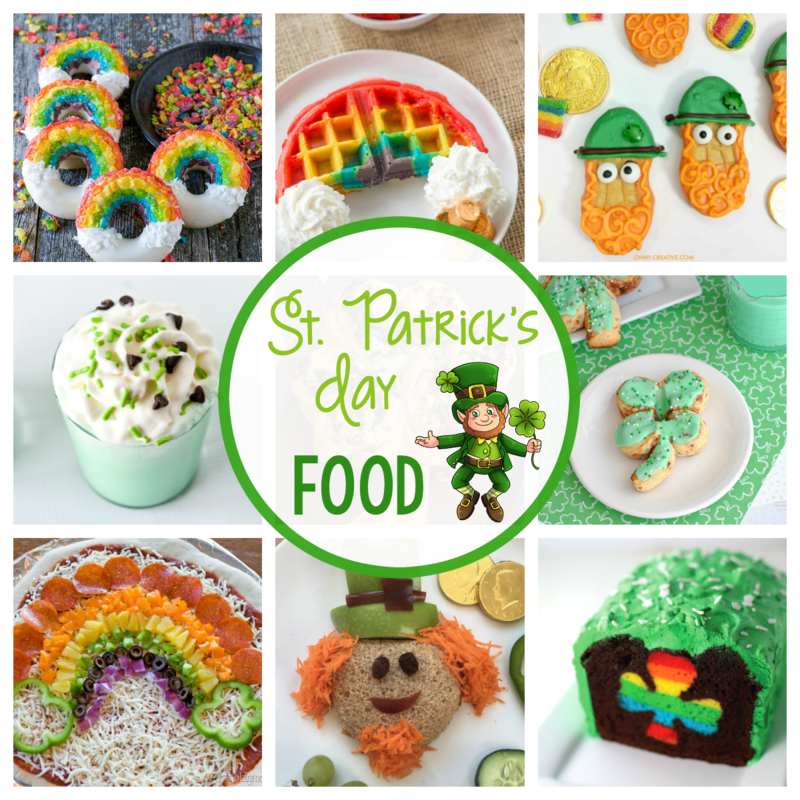 I don’t remember where I first got this idea, but every year for quite a few years I have “Leprechaun pooped” a few of my friends. My husband thinks it’s disgusting. I think it’s hilarious. I’ll let you be your own judge. I will say that you have to do give this Leprechaun Poop to the right type of person. Not everyone would think it was funny. 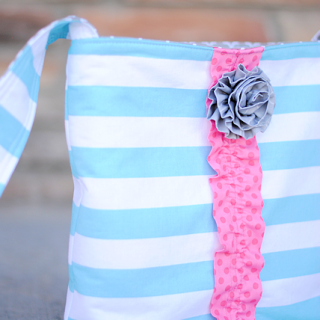 It does package up awfully cute, doesn’t it? And it’s super easy to put together! 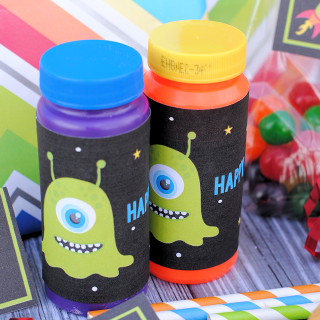 You just need something green and then the printable tag and you’re all set! And here is a printable. Click on the image to open in bigger and then right click and save and then you can print it. Then, the night before St. Patrick’s day you’ll just sneak up to the door of a friend and leave this there. Or you could do it for your kids or coworkers. Have fun with it! I don’t care what your husband thinks…. 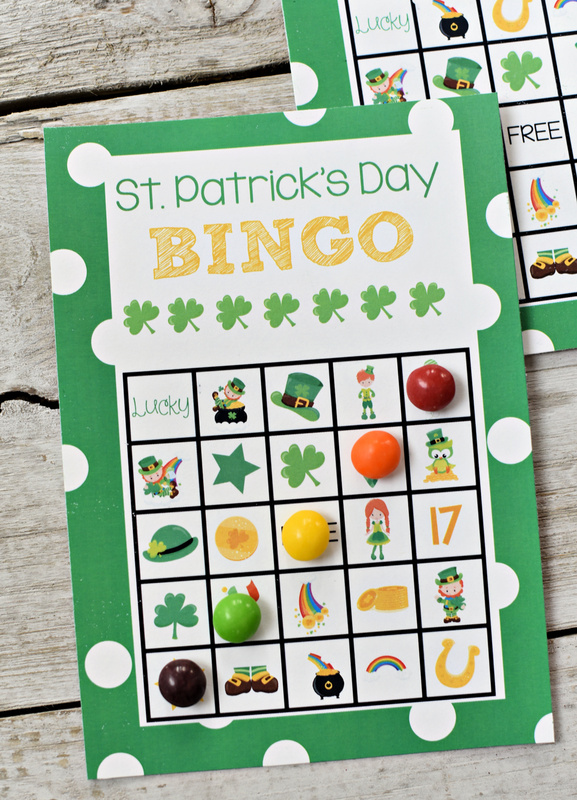 this is CUTE… and I have the perfect person to give it to, she’s Irish… and will ROFL…over it !!! yeah, no. I’m with the hubby on this one. gross. and yet reindeer poop at Christmas doesn’t bother me. Cute idea but I agree it’s not for everyone. 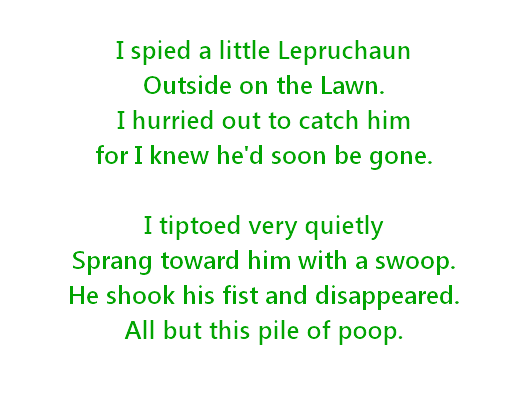 I changed the poem to describe Leprechaun Munch. OMG, I love it! I love all the different poops. My sense of humor is warped enough to want one for every month of the year. I’ve made several jars already – we always have kilos of jellybeans on hand – to give to co-workers whose sense of humor is as warped as mine. Thanks so much for the idea. This is totally adorable! My kids would love it. Thanks for this one. I agree with the rest, cute. love this! this is such a cute idea! I can’t wait to do this with my daughter! The really funny part about this is it makes me think of my daughter’s 1st grade teacher. She is an older lady but this is totally up her ally and I think she would die laughing. However I don’t think my other daughter’s teacher would be as amused which is funny since she pretty young. I guess that proves it isn’t an age thing, lol.